Last week, we saw the affects of a lack of balance on ‘We’re The Campbells’. 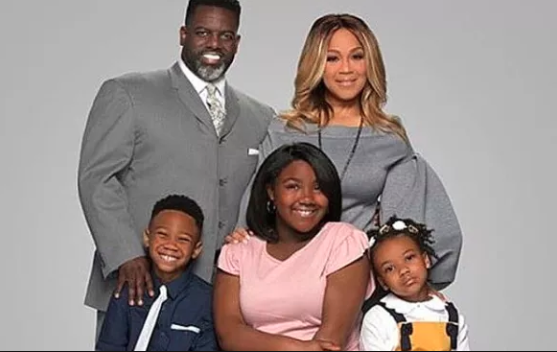 This week Erica performed at the Stellar Awards, then headed home only to discover that Warryn needed surgery; tensions flared when Erica gets back on the road during Warryn’s recovery, so they decide it’s time for a love check-in. The one word that flashes boldly is priority. Most people are in the middle, with hopes and dreams for the future, and either definite goals or a more vague plan. Usually people think hard about big decisions, but smaller ones tend to be driven more by moods and intuition. #1 Decide what your priority is: It should be a single priority, not priorities. What is the most important thing – the one activity that would make the most difference in your life? Be clear about what you need and what you want. Be clear about what you need to do. Be clear about what your relationships need. #2 Set aside sufficient time: Don’t just treat this as a nice-to-do. Build your life around it. Not only should you make time for it, but also you should make enough time for it. It’s your most important activity, after all, so it deserves a big portion of your time. On the other side it goes without saying that you also have to make God a priority. Take an honest look at your current priorities. Reflect on your life right now to consider what factors most determine how you choose to live. Where are you investing most of your time, money, and energy? Which relationships and activities do you devote yourself to every day? Where do you currently place God on your list of priorities? If your relationship with God isn’t your top priority right now, what specific changes do you need to make in your life to devote yourself to God first? God wants more than just the top line of your priority list. He wants the whole list.He doesn’t want to be sequestered to a single part of your life. He wants to be the substance of every part, the logic behind every choice you make. Whether you’re singing a worship song or taking a nap, God wants His kingdom to be your ultimate goal. ‘WE’RE THE CAMPBELLS’ is on TVOne on Tuesday at 8 p.m. ET/7C. I will be there live tweeting as usual and summing it all up with a lesson when the show ends. Make sure to follow @orethapedia on twitter.